Men, these leather jackets are being evolved every single day and it is the best time to own one of the funkiest ones in the world. This clothing store is presenting you the Black Spikes Studded Motorcycle Jacket. 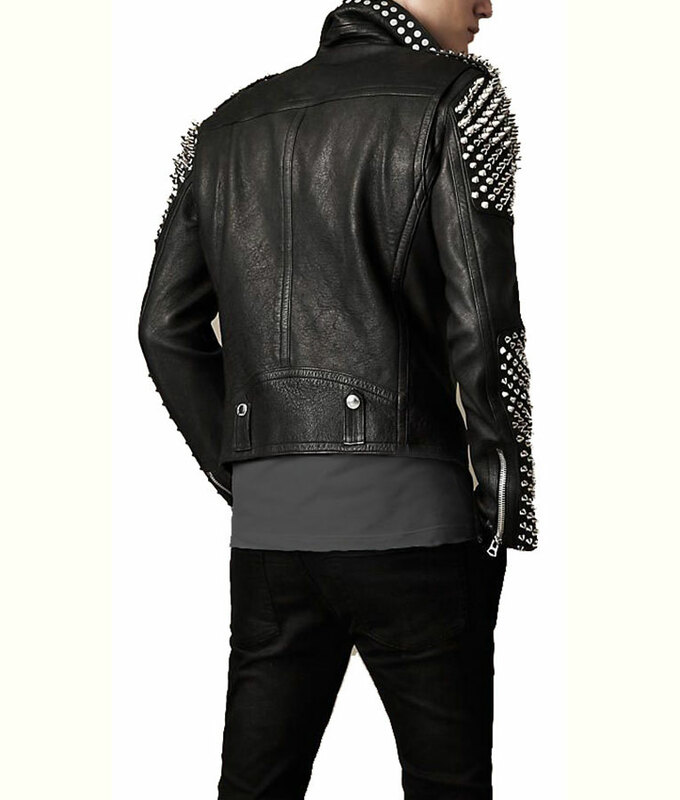 Real leather is the main material to be used for the exterior of the Silver Spikes Studded Motorcycle Leather Black Jacket. Two pockets on the inside and outside give ample options to keep important belongings safely. 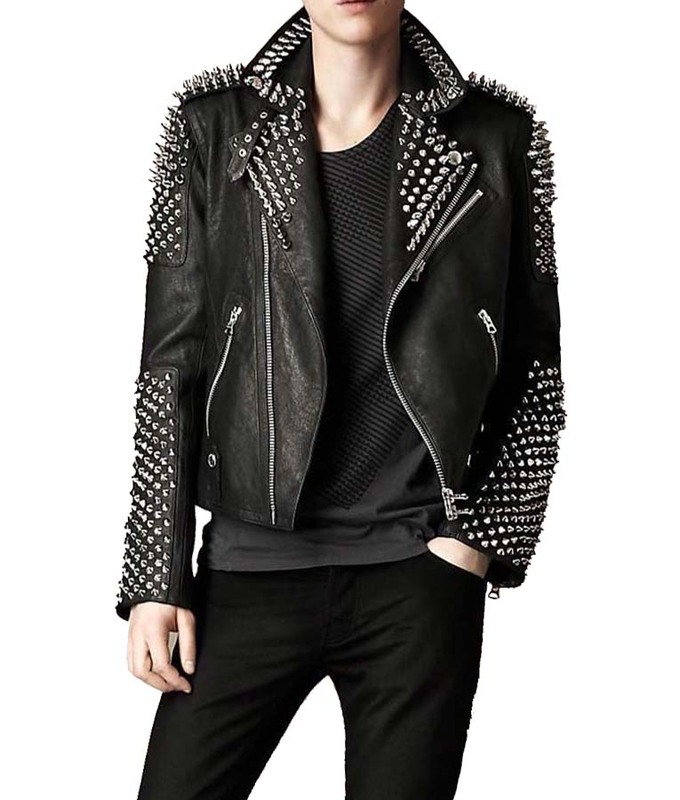 Studs of different sizes are placed on the collar, cuffs and shoulder areas of the jackets. A YKK branded zipper is featured for the front closure, which has two zips enabling to close from the top.